This week, we take a trip down memory lane (sort of) and revisit the cast of Tenchi in yet another canonically distinct show with the same characters and animation style. Oh, and it features some decent jokes about magical girls, as well. If you’d like to submit a topic for discussion, a letter, a memory you have of Toonami, or a bizarre show for us to make fun of, you can contact us at hyperspacebroadcastspod@gmail.com, or find us on Twitter @HBpod and Facebook at Facebook.com/HBpod. We look forward to hearing from you! When Tenchi finally tells everyone to get lost, they… do. Alright, we didn’t see that coming. Ryoko reclaims her title of space pirate, Kiyone and Mihoshi rise through the ranks of the Galaxy Police, and Ayeka traps Nobuyuki outside his own house. Meanwhile, Michael attempts to explain Tenchi in Tokyo as a deconstruction of “harem” anime tropes, Peter is displeased by the design of Tenchi’s new sword, and both hosts appreciate the primary villain. Also included: brainstorming new names for the “harem” genre, changing the topic by shouting “party!”, preferred wacky portions. 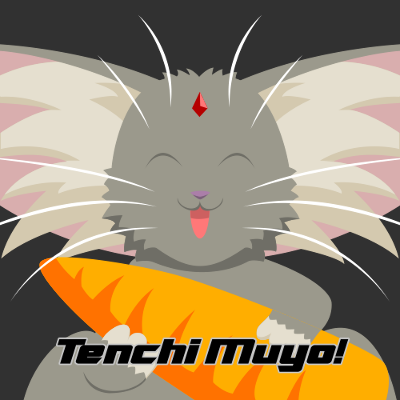 We’re back to Tenchi, but Tenchi’s trying to get away from everyone. This week, Tenchi meets a new girl who immediately falls in love with him. Meanwhile, Michael recalls a specific episode from his childhood, Peter tries to describe an indescribable villain design, and both hosts wonder if Sakuya even exists outside of Tenchi’s eyeline. Also included: the Platonic Ideal of cuteness, weirdness of “Harem” as a genre description, Ai Tenchi Muyo! : worth it or not? 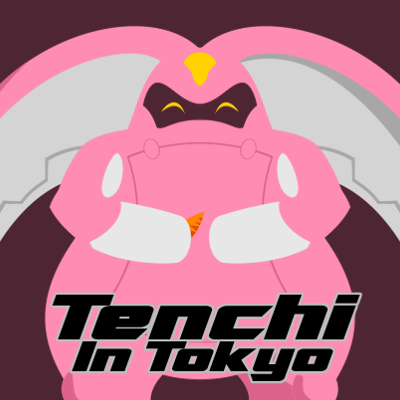 Tenchi in Tokyo Part 2 will release March 28. 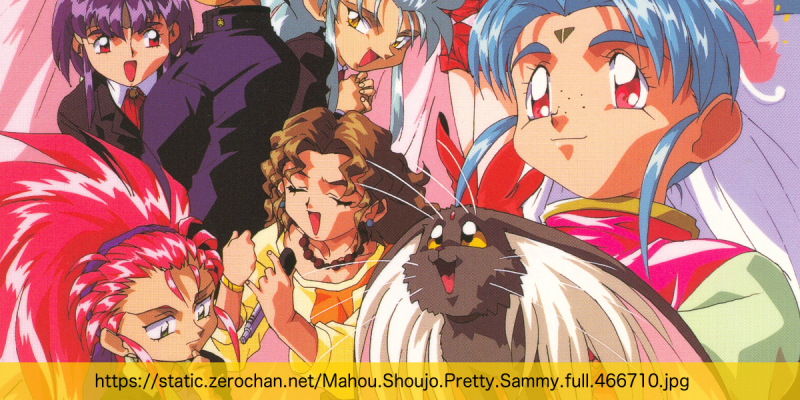 Tenchi and the gang head into space in order to stop a coup on Jurai that has deposed Ayeka and Sasami. Unfortunately, putting Tenchi in space does very little to solve the show’s problems. Michael complains about the one-dimensional nature of the show’s characters, Peter sandbags the dialogue translation, and both hosts generally get kind of salty. Also included: spaceships in love, character karaoke, and a swimsuit episode. We’re back to the adventures of a nondescript teenage boy pursued by six alien women. And it never stops being weird. Meanwhile, Peter compares Tenchi Unvierse to reality television, Michael vents his frustration with a glimpse of characterization, and both hosts wish one of the aliens pursuing Tenchi was a weird jellyfish monster. What do you get when you put a demon, a princess, her younger sister, a space-cop, and a mad scientist under one roof? Apparently, they all fall in love with a relatively lame teenager. On this episode, both hosts discuss some awkward pre-teen memories, Michael makes a comparison to Bayonetta that falls flat, and Peter gushes about the mechanical design in the show. Oh, there’s also a bit of discussion about a cat/rabbit hybrid that can turn into a spaceship, and the awkwardness of watching anime in your living room.